Cybotians again proved that they are best- Magadh University 3rd Year Result announced-100% Result.Topper of BCA- Kaushal Kumar and BBM- Surbhi Sinha. Students are requested to collect their marksheet and Provisional Degree Certificate from Admission Deptt. 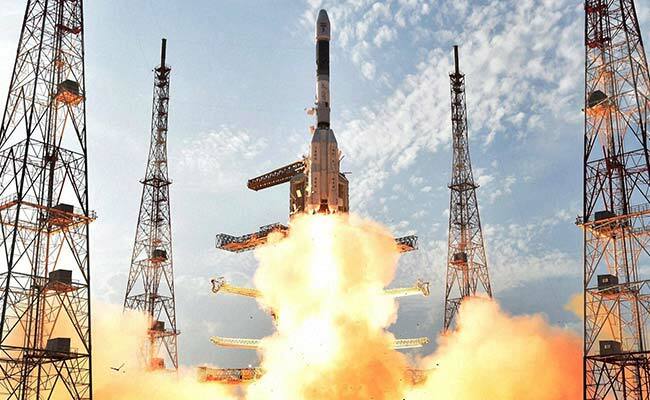 Fingers were crossed as India's heaviest rocket launcher, the GSLV, took off from Sriharikota in coastal Andhra Pradesh. The Geosynchronous Satellite Launch Vehicle (GSLV Mark II) has been used 10 times to put crucial satellites for India into space. It has succeeded only in half of those attempts, earning it the nickname "naughty boy" by scientists at the Indian Space and Research Organization. 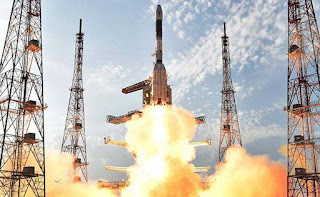 After a 40-minute delay caused by a last-minute technical glitch, the GSLV delivered - a weather satellite that weighed over 2,200 kilos had been put into orbit. This is the heaviest-ever lift-off for India. "The naughty boy of ISRO has become the adorable boy," said Dr K Sivan, Director of the Vikram Sarabhai Space Centre in Thiruvananthapuram. But the big mastery was in the use of a cryogenic engine made entirely in India. After the USSR disintegrated, the technology involved had for years been refused to India by Russia, under pressure from the US. For two decades, India has worked on developing it at home. The launch yesterday cost Rs. 250 crores, half what it would cost in Western countries. Next year, the powerful rocket GSLV is to be used to launch India's second mission to the moon, Chandrayaan-2. The first lunar mission with an unmanned Indian spacecraft was launched in 2008. Wishing All " EID MUBARAK". AOC Classes starts from 4th July@Cybotech Campus. For Students of Class XI & XII- Commerce.Your destination for Commerce Tuition @Cybotech Campus. 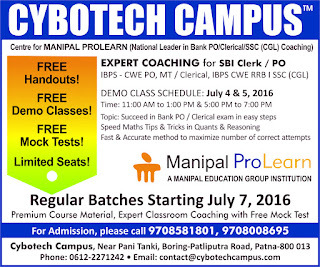 Centre for MANIPAL PROLEARN Launches Expert Coaching Classes @Cybotech Campus for Banking/SSC Exams. For more details, call today -9708581801; 0612-2271242/243/331. 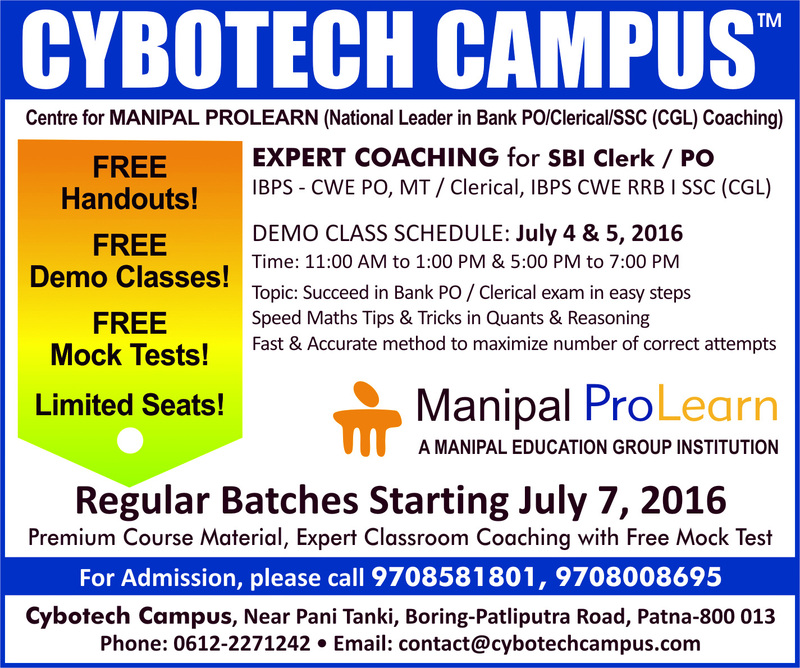 Cybotech Campus, A Unit of Anwesha is a trusted educational institute, is located in heart of Patna, the capital city. Ancient Patna, known as Patliputra, was the capital of the Magadha Empire under the many dynasties. Patliputra has always been a seat of learning and fine arts. The city has the distinction of being associated with the two most ancient religions Buddhism & Jainism. Cybotech Campus started in 1998, is an endeavor of young group of professionals under the Anwesha Group. Today it is widely recognized as the Best Teaching Centre of Excellence in Information Technology, Management and Job Oriented courses. It is recognized by the State University for offering Undergraduate and Post Graduate programs in Computer Science, IT, Management and General Streams and for Advance Diploma and Diploma,the Institute is fully accreditated by DOEACC Society, Govt. of India. The main campus is located at main Boring- Patliputra Road, Near Pani Tanki More, the locality is blend of rich Indian and Dynamic Western Culture. The new campus is a State of Art infrastructure.